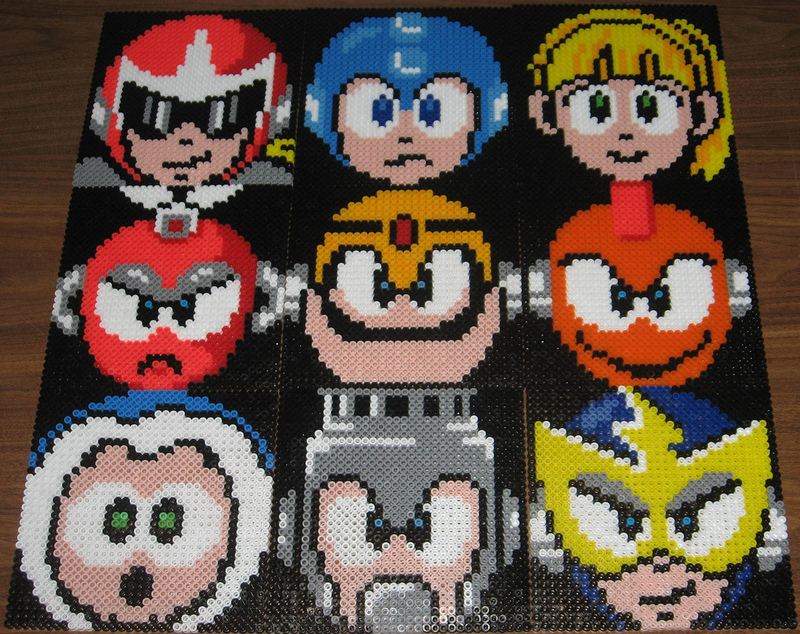 Satoshi Matrix's Blog | Retro Gaming, Anime, and all things awesome. 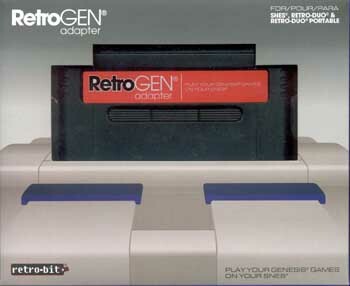 Last year, Retro-Bit – a third party manufacturer of clone consoles, controllers, and accessories – released two extremely interesting devices – the RetroPort Adapter, which connects to a SNES and allows original NES games to be played, and the RetroGen Adapter, which connects to an SNES and allows Sega Genesis/MegaDrive games to be played. Now Retro-Bit continues their voodoo magic with the Super Retro Advance Adapter, which promises to bring a certain beloved handheld to the SNES. Since it was initially announced, fans speculated about how the GBA would change the future of portable gaming forever by bringing SNES-like game experiences to a handheld while also producing new franchises and perhaps even doing some things that wouldn’t be possible on Nintendo’s legendary 16-bit platform. Throughout it’s life, all of this was proven time and again as the GameBoy Advance became for all intents and purposes, the second coming of the Super Nintendo Entertainment System. It is therefore with irony that Retro-Bit now has a product to bring GBA game experiences back to the SNES. How good is this device? Read on. 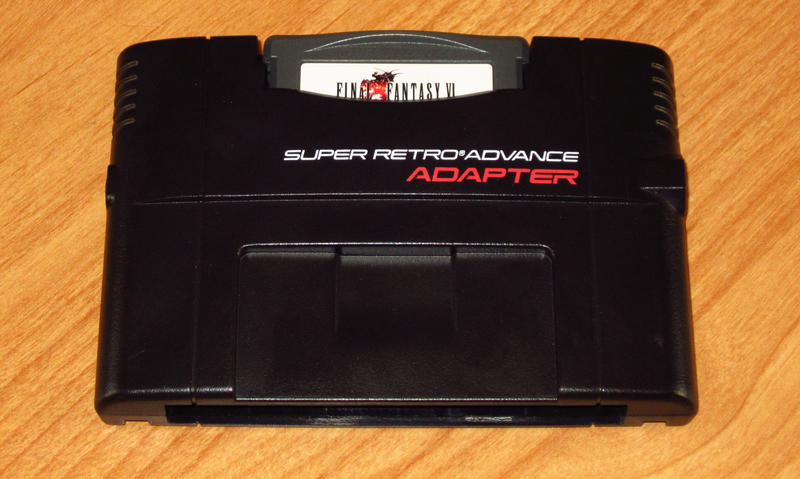 The Super Retro Advance Adapter is a standalone GBA clone that plugs into the SNES as if it were an SNES game itself. Using only the power provided from the SNES cartridge slot, the Retro-Bit Super Retro Advance Adapter has a self contained GBAOAC (GBA On A Chip) and interfaces with the SNES for standard button input. Just like the RetroPort and RetroGen, audio and video are not provided through the SNES, but instead an RCA to stereo 3.5mm headphone jack located in the side of the device. This is because unlike the Super GameBoy, RetroBit’s line of adapters do not run Super Nintendo software as a framework for the other platforms. 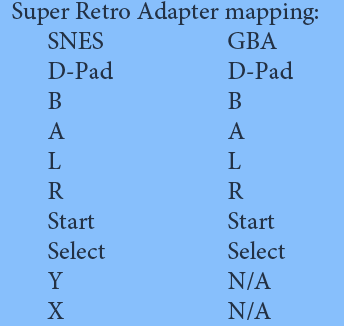 In essence, while the console treats the Super GameBoy as a SNES game, the Retro-Bit Adapter line are not utilizing the SNES PPU at all, therefore there is no video feed to route internally. It has been suggested that Retro-Bit could have solved this by writing a simple interface program, but that is easier said than done. SNES games were written in low level 65C816 assembly, a language so prone to errors it was abandoned in the mid ’90s and isn’t taught in programming classes anymore. There also aren’t any C or C++ compilers for the highly custom 5A22 cpu Nintendo chose for the SNES. As is, the included cable is required when using an actual Super Nintendo or Super Famicom. However, this is only true of the original Nintendo hardware and older, non Retro-Bit clone consoles. Newer Retro-Bit clones such as the Retro Duo Portable and the upcoming Super Retro Trio will pass the video feed directly to it’s own video output jacks without the need of the additional cable. 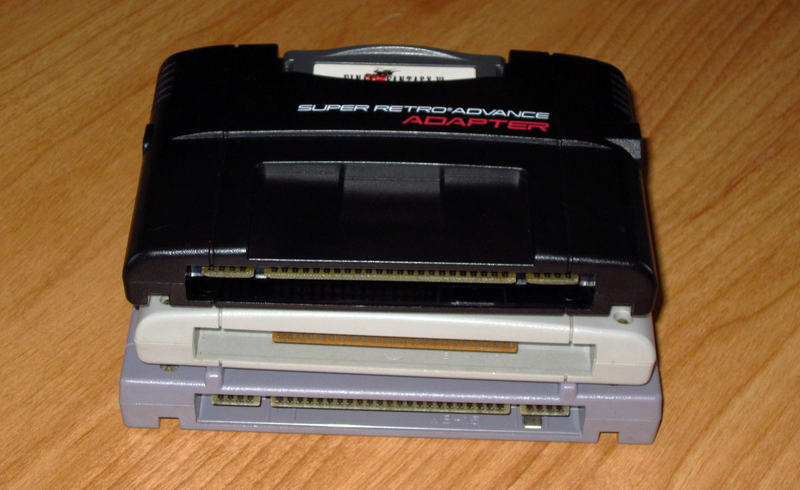 It should also be noted that the Super Retro Advance Adapter, like other Retro-Bit products, is designed to universally fit with all SNES consoles worldwide, featuring the slim design of Super Famicom game shells while providing the slits for the North American SNES. This essentially means it is completely region free. Like the RetroGen, the video encoder inside the Super Retro Advance Adapter provides extremely clean, clear and vivid NTSC composite video that looks great on any CRT television. Despite the fact that the device only provides composite video output as opposed to something higher quality such as S-Video or even RGB, the video clarity surpasses what many classic consoles are capable of producing, including the SNES itself. Games are bright, vibrant and clear. 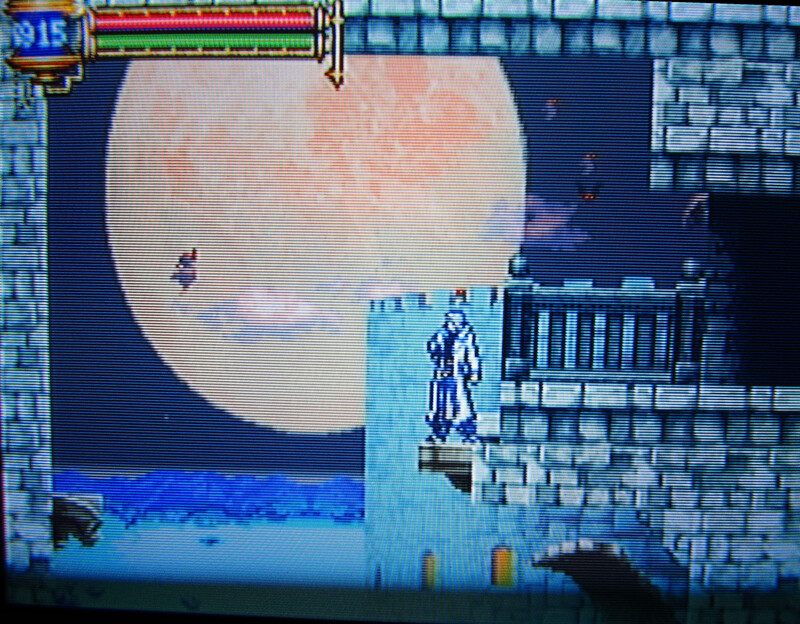 Early titles well known for being especially dark such as Castlevania Circle of the Moon are completely playable, and regardless of the composite signal, there is minimal color bleeding – allowing easy reading of text and visibility of even the smallest sprites. The original GameBoy Advance used an LCD with an aspect ratio of 3:2. When displayed on a 4:3 CRT television, the Super Retro Advance Adapter ever so slightly adjusts the image to display fullscreen. 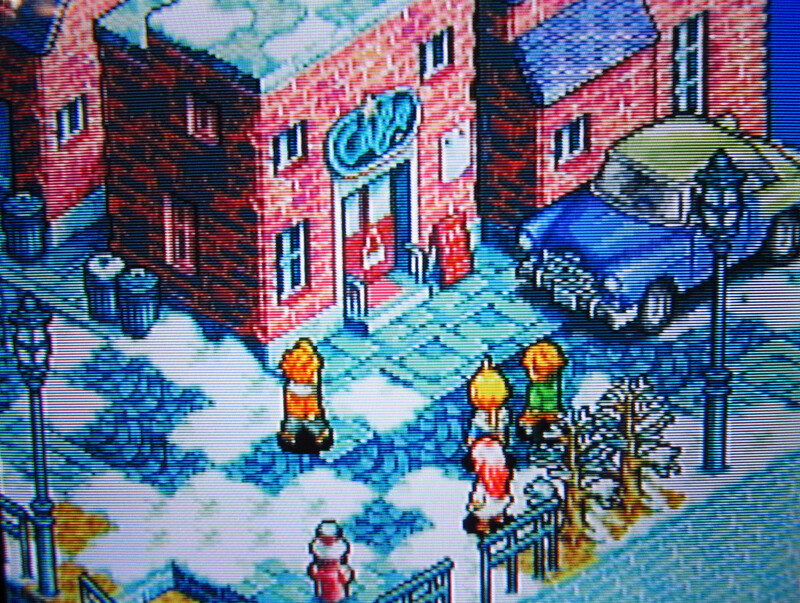 When using a 16:9 television, the slightly more widescreen nature of 3:2 is represented by nearly filling the entire widescreen display, but leaves a thin black border around the edges without any distortion. The device does not allow the user to adjust the aspect ratio, but I find it does a surprisingly decent job on its own. In fact, I prefer the full 4:3 display to the GameCube GameBoy Player’s windowed display. The cable provided includes clean, interference-free stereo sound, and the Super Retro Advance Adapter reproduces the GBA’s sound format almost perfectly. Unlike some GBA clones, all of the musical ranges the GBA is capable of producing are reproduced exactly within the same octaves, allowing gamers to enjoy their favorite GBA tunes when using the Super Retro Advance. 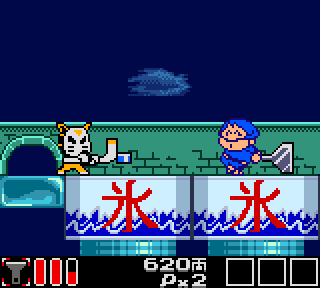 However, occasional Z-80 based sounds using the original GameBoy’s sound hardware do not sound correct on the Super Retro Advance. 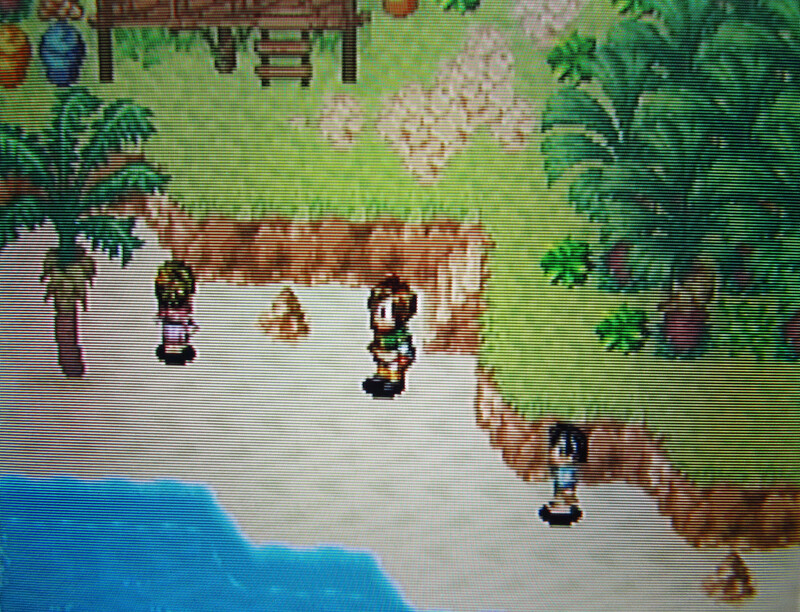 Through rigorous testing, I so far have found this to only affect a small number of GBA titles in minor ways. For example, in the Pokemon games, the sound effect when you run into a solid object is far more subdued than on a real GBA. This is however such a minor issue that it may actually go unnoticed for those who aren’t specifically listening for it. Some may be put off that the B and A buttons on the GBA are not instead mapped to the Y and B buttons on the SNES controller, but I understand why Retro-Bit chose to do this. 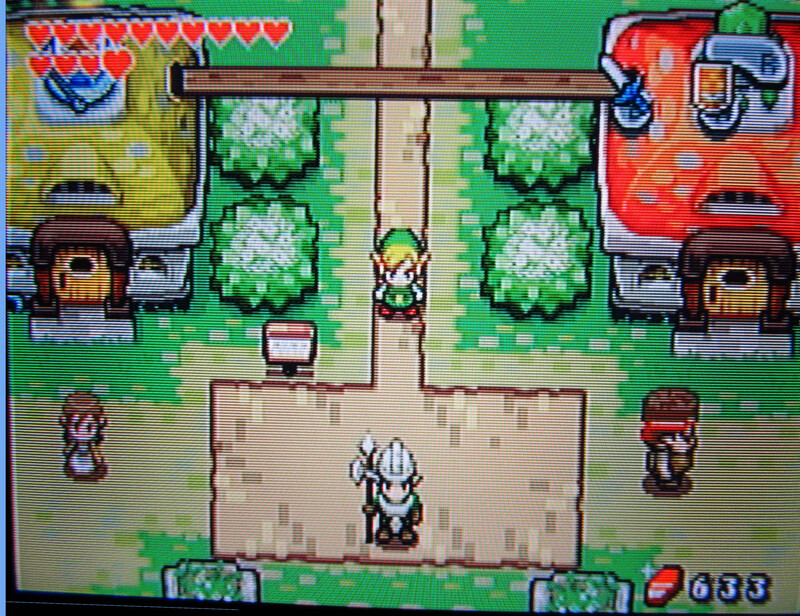 There are many GBA games that include in-game button prompts such as “Press A repeatedly”. 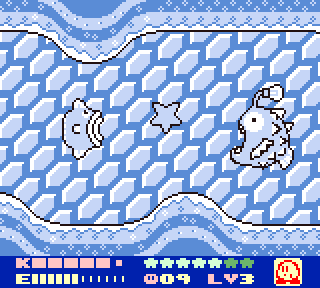 If the Y and B configuration was used, the GBA A button would be mapped to the SNES B button, creating some potentially confusing situations. Like many emulators, the Super Retro Advance Adapter works by circumventing the boot bios, providing almost instant access to your favorite GBA titles and a legal loophole in what could otherwise be an illegal device to sell. I am pleased to report that to the best of my testing abilities, compatibility appears to be extremely strong and very well may be perfect across all GBA titles. I have tested dozens of GBA titles and each work flawlessly. The only compatibility issues I’ve encountered are with the Play-Yan Micro mp3/video player and running certain games via my M3 Simply SD Flashcart. The Play-Yan will refuse to boot up whatsoever. The M3 Simply will work for the majority of games I’ve tried. So far, the only problematic games using the M3 Simply are pseudo 3D titles such as Iridion II, Asterix & Obelix XXL, and Stuntman. Each of these will glitch out at certain points rendering them unplayable after a certain point. 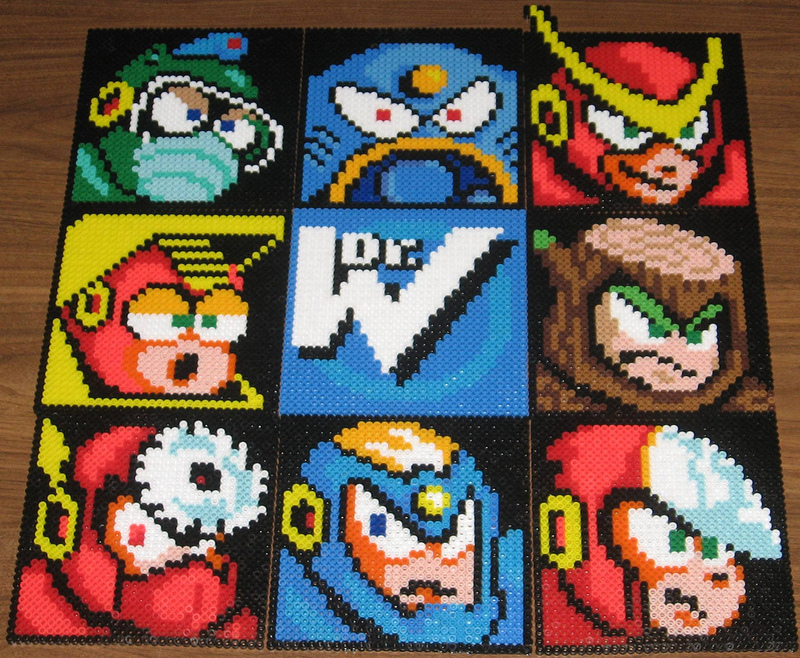 However, when I tested these games using the original cartridges, all worked without any problems. As neither the Play-Yan or M3 Perfect are true GBA games in of themselves, incompatibility is unsurprising and should not count towards any tally of actual GBA games that do not work, which I have not found any through my testing so far. Unfortunately, the Super Retro Advance Adapter completely lacks original GameBoy and GameBoy Color support. No GameBoy games will work on the device whatsoever, as the device lacks the original GameBoy hardware, just like the GameBoy Micro. GameBoy and GameBoy Color games will physically fit into the cartridge slot, but there’s no point in even trying as they will do absolutely nothing. However, I was able to get several GameBoy and GameBoy Color games working and PocketNES through my flashcart, although with sound and graphical issues. 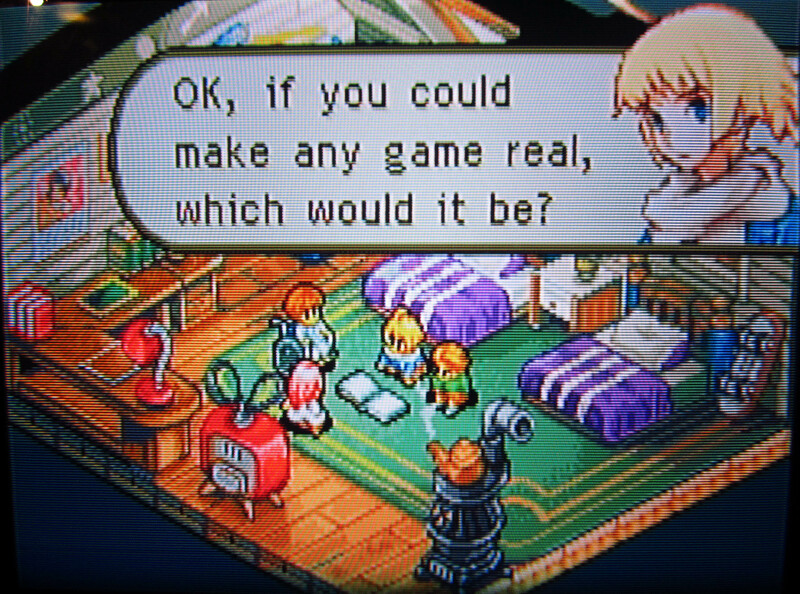 -Composite video output only, which is a shame considering the GBA could be made to produce S-Video or even RGB. Following on the footsteps of the excellent RetroGen adapter, the Super Retro Advance adapter from Retro-Bit doesn’t disappoint. It provides great software support with clean and clear video. Is it better than the GameBoy Player for GameCube? No. However, considering the costs of the GameBoy Player plus GameCube, and that the GameCube controller is hardly an ideal controller for GBA games, the Super Retro Advance is a great alternative for playing your GBA games on a tv, and makes for a great gift this holiday season. If you’re interested in purchasing the Super Retro Advance, it can be found along with many other Retro-Bit products at thinkgeek.com, vintagestock.com, lukiegames.com and other retrogaming stores all across North America and worldwide. In 1989, Nintendo released the GameBoy Compact Portable Videogame system – a monochrome, non backlit interchangeable cartridge-based handheld with a low resolution screen and a less powerful processor than even their aging NES. 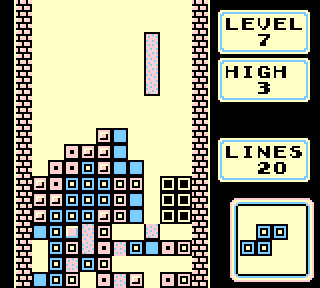 Thanks to brilliant marketing and the importance of the pack-in game Tetris, GameBoy would prove to be a massive success almost overnight. 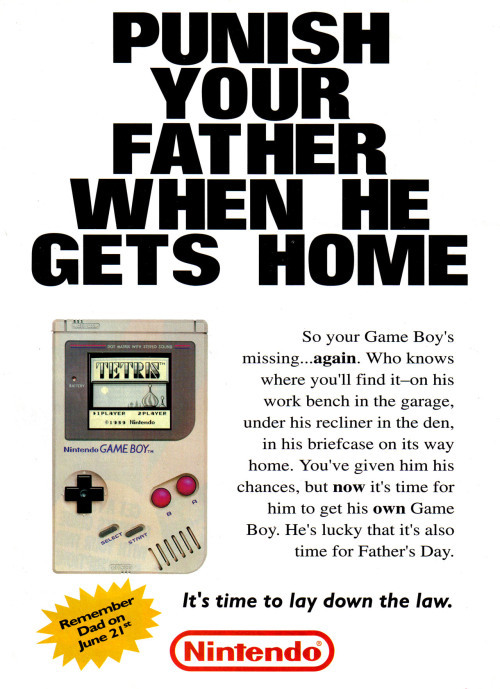 In the early 1990’s, everyone and their mother or father (often literally) needed to own a GameBoy. As grand as the initial success of the platform was though, the real legacy of the GameBoy was it’s longevity. As Nintendo would prove to the world, flashy visuals and powerful hardware were not required to turn the so-called “inferior” GameBoy hardware into a roaring success when developers solely focused on simplicity and raw fun rather than expensive hardware. 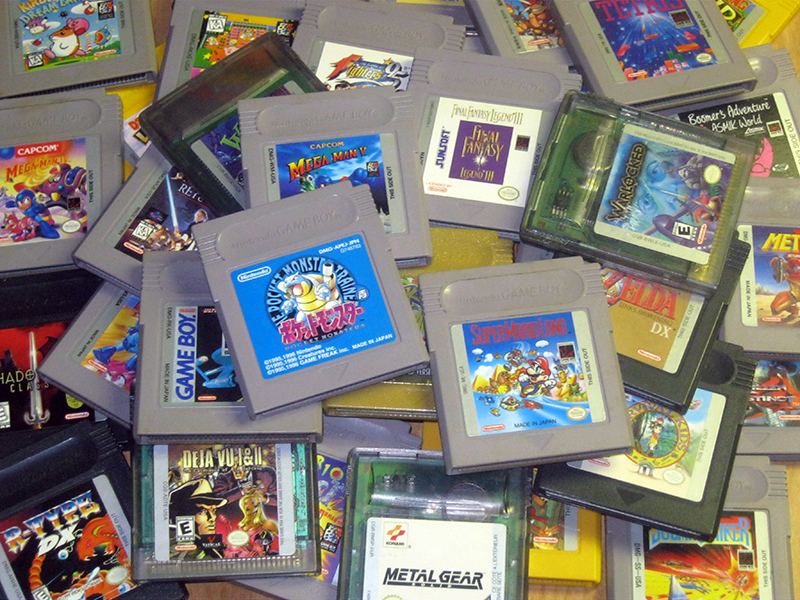 The Lynx, GameGear, Game.com, Wonderswan, and Neo-Geo Pocket – the GameBoy would endure and outlast all of them for over a decade until 1998 when the original design was finally replaced by a slightly upgraded model called the GameBoy Color, with a full color LCD and a slightly faster CPU. Like the original monochrome model, the GameBoy Color would face competition from superior hardware such as the WonderSwan Crystal and Neo-Geo Pocket Color and again outsell and outlast them both before it was finally retired in 2002 with the release of the 32-Bit GameBoy Advance – ending well over a decade of 8-bit portable titles from Nintendo and the their many third party partners. This list is dedicated to the top 100 GameBoy and GameBoy Color games released between 1989 to 2002. 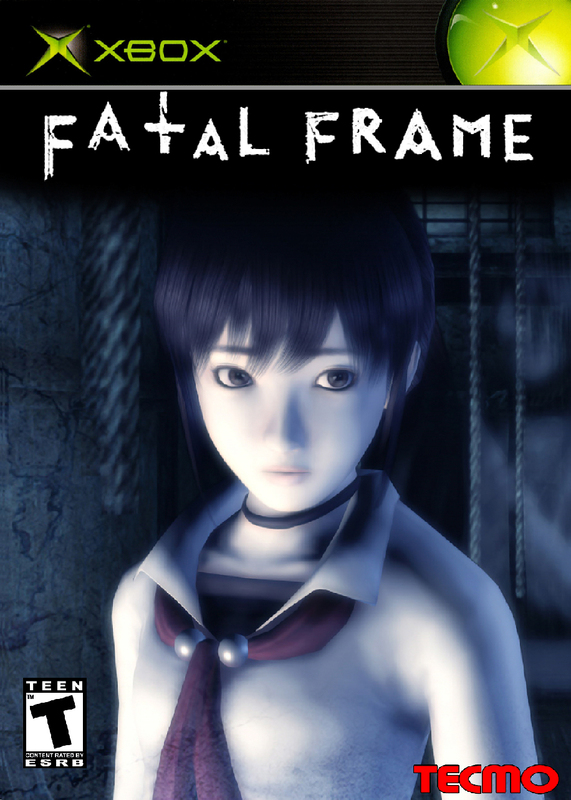 It contains both original black-and-white and color titles. Placement was deemed after several hundred candidates had been evaluated in a number of ways including how well each holds up today in terms of playability and enjoyment. Since many classic 8-bit games can be a real test of player’s patience and skill, I am ranking every game on its overall difficulty using a simple scale of 1 to 10, where 1 is brain dead easy and 10 is…well, Battletoads. A 5 on this scale means the game has average difficulty with perhaps some challenging elements, but nothing the average gamer should get stuck on for too long. I’m also including many links to videos and other online information sources. Links are indicated by orange words. Please open these links in a new tab or window so you don’t have to navigate away from this article. As grand as the initial success of the platform was though, the real legacy of the GameBoy is it’s longevity. As Nintendo would prove to the world, flashy visuals and powerful hardware were not required to turn the so-called “inferior” GameBoy hardware into a roaring success when developers solely focused on simplicity and raw fun rather than expensive hardware. The Lynx, GameGear, Game.com, Wonderswan, Neo-Geo Pocket – the GameBoy would endure and outlast all of them for over a decade until 1998 when the original design was replaced by a slightly upgraded model called the GameBoy Color, with a full color LCD and a slightly faster CPU. Like the original monochrome model, the GameBoy Color would face competition from superior hardware such as the WonderSwan Crystal and Neo-Geo Pocket Color and outsell and outlast them both before it was finally retired in 2002 with the release of the 32-Bit GameBoy Advance – ending well over a decade of 8-bit portable titles from Nintendo. Since many classic 8-bit games can be a real test of player’s patience and skill, I am ranking every game on its overall difficulty using a simple scale of 1 to 10, where 1 is brain dead easy and 10 is…well, Battletoads. A 5 on this scale means the game is average difficulty with perhaps some challenging elements, but nothing the average gamer should get stuck on for too long. If you missed the prior entries, they can be found here. So without further ado, enjoy my picks for the top 100 GameBoy and GameBoy Color games that still matter! Thanks to brilliant marketing and the importance of the pack-in game Tetris, GameBoy would prove to be a massive success almost overnight. In the early 90’s, everyone and their mother or father (often literally) needed to own a GameBoy. As grand as the initial success of the platform was though, the real legacy of the GameBoy is it’s longevity. As Nintendo would prove to the world for the first time, flashy visuals and powerful hardware were not required to turn the so-called “inferior” GameBoy hardware into a roaring success when developers solely focused on simplicity and raw fun rather than expensive hardware. The Lynx, GameGear, Game.com, Wonderswan, Neo-Geo Pocket – the GameBoy would endure and outlast all of them for over a decade until 1998 when the original design was replaced by a slightly upgraded model with a full color LCD and a slightly faster CPU called the GameBoy Color. This list is dedicated to the top 100 GameBoy and GameBoy Color games released between 1989 to 2002. It contains both original black-and-white and color titles. Placement was deemed after several hundred candidates that been evaluated in a number of ways including how well each holds up today in terms of playability and enjoyment. Since many classic 8-bit games can be a real test of player’s patience and skill, I am ranking every game on its overall difficulty using a simple scale of 1 to 10, where 1 is brain dead easy and 10 is…well, Battletoads. A 5 on this scale means it’s average difficulty with perhaps some challenging elements, but nothing the average gamer should get stuck on for too long. 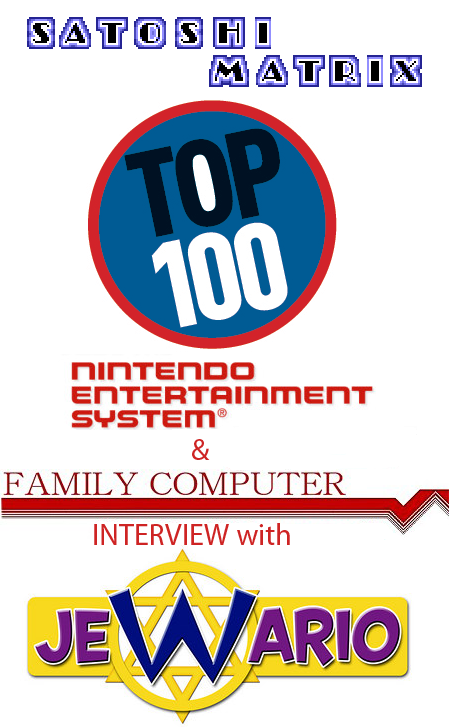 My Top 100 NES/Famicom game Interview with JewWario! 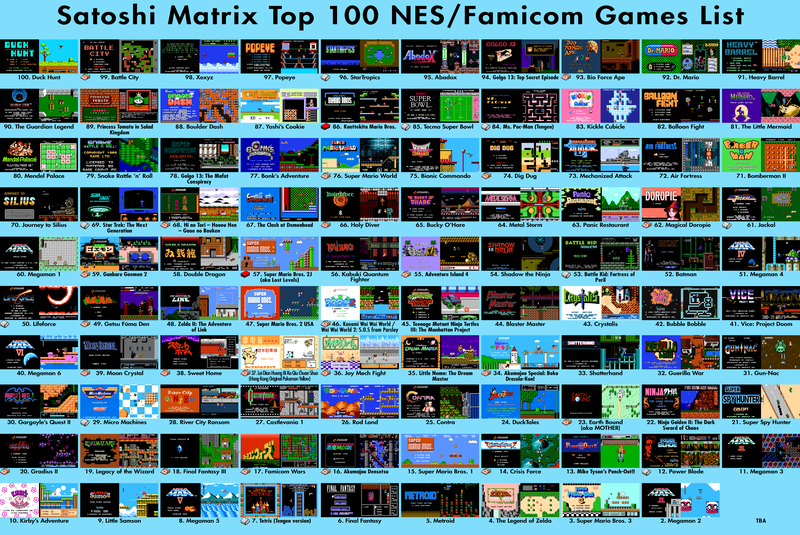 Retro gaming enthusiast and all-round swell guy JewWario contacted me about my top 100 NES/Famicom games list and expressed interest in interviewing me about my giant effort! Learn the secrets behind the construction of my list, my personal history with the NES/Famicom, and my outlook on retro gaming in general. Come listen, won’t you? Interview can be found by clicking this shiny orange text. Full version of the interview will be coming soon. Once again many thanks to Justin for making this happen. You rock. As videogame consoles from the late 80’s and early 90’s continue to age, there seems to be a never-ending cascade of clone hardware that reproduces the original experiences and replaces old, large, clunky and sometimes temperamental hardware. One of the leading clone manufacturers in recent years has been RetroBit, who have been steadily gaining a foothold and showing up competitors like Yobo and Hyperkin when it comes to quality and reliability – concepts not commonly associated with Asian born clone hardware. Previously I brought you guys a detailed look at the RetroBit RetroPort, an interesting self contained NOAC designed in a cartridge that can be fitted into an SNES and thus allow hundreds of additional titles to be played on that great console. It seems RetroBit didn’t want to stop there, and recently also released another cartridge adapter that can be fitted into the SNES, a device they call the RetroGen – which allows Sega MegaDrive or Genesis games to played on a Nintendo SNES, Super Famicom or Super Famiclone.